As more data systems develop the need for structured data storage, the development of fast and secure solutions have become essential to the viability of storing and retrieving data. 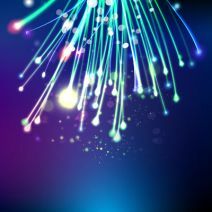 Scientists have been looking at the field of optoelectronics to develop constructs where an enormous amount of data can be stored for exorbitant amounts of time.What are Optoelectronics? To learn more about storage and how these advances are going to affect your business, give us a call at 307-686-3025 and one of our knowledgeable IT professionals can shed some light on how to best use data retention to keep your data safe, and keep your business moving forward.